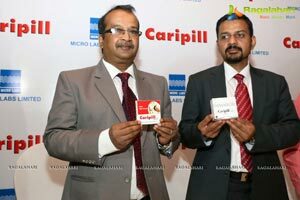 Micro Labs Limited, a fully integrated pharmaceutical company based out of Bangalore recently launched Caripill, which helps to increase the platelet count in patients suffering from Dengue. Approved by the scientific and regulatory authority, the pill is made from Carica Papaya leaf extract and does not have any side-effects. Being a product of extensive R & D and clinical trials conducted by Micro Labs,the pill has proved its safety and efficacy in about 1 lakh patients across India. Dengue is emerging as a serious public health problem globally, with 2.5 billion people at risk and 50 million dengue infections occurring annually, according to a report from the World Health Organisation.Between January and June this year, five to six cases of dengue were reported in Hyderabad. However, the number now has touched 80 dengue cases between June and August. There is a huge surge in dengue cases in India, among all age groups of people with low immunity with the sufferers reacting strongly to the virus that is primarily transmitted through mosquito bites. The virus causes severe eye pain, body ache, joint pain, high fever, exhaustion, affects mobility and of course a dramatic reduction in platelet count in dengue patients, eventually may be fatal too. In addition, the conventional treatment that involves platelet transfusion will have a high financial burden, besides the trauma to the patient and family. 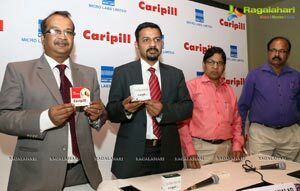 Caripill, has come as a boon for patients with just Rs.25 per tablet with the dosage of administering one pill (1100 mg) three times a day, for 5 days, thus reducing the financial burden and the emotional trauma experienced by the sufferers and their families. No specific treatment was available for treating dengue, except for some paracetamol tablets (mostly Dolo 650 by Micro Labs) to reduce the fever/ temperature. However immediately post the fever reduces, the platelets count on blood starts falling leading to serious health consequences. Despite considerable efforts to control the mosquito population, dengue fever has emerged, spread and established itself rapidly. Looking into the limited current modalities of treatment and its affordability to a fewer sections of population, this alternative option of well-researched and documented Caripill has brought immense relief. Dilip Surana, Managing Director, Micro Labs Ltd.,stated that “Over 4 decades, we have been successful in manufacturing oral solids, liquids, topical and injectable medication for patients across verticals – diabetology, cardiology, ophthalmology, dermatology, pain/analgesics, etc. Jayaraj. 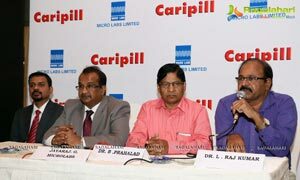 G. Executive Vice President, Micro Labs Ltd., shared "Caripill is backed by adequate scientific data that confirm the beneficial increase in the platelet count in dengue cases. Besides Caripill underwent rigorous formulation research and a four month stability study under simulated temperature controlled environment to ascertain its stability during drug distribution transit. The papaya leaves are sourced from dedicated farmers adopting Good Agricultural Practices (GAP) to ensure high quality of the drug ingredients". About Micro Labs: Founded in 1973, Micro Labs Limited (http://www.microlabsltd.com/) is a multi-faceted healthcare organization with a state-of-the-art manufacturing facilities and R&D centres that are at par with international standards.Ranking 10th among prescriptions and 20th in sales, Micro Lab’s brand portfolio includes some of the topmost brands in various specialties like Cardiology, Diabetology, Anti-infectives, Ophthalmology, Pain, etc. Dolo, one of its medication, is an award-winning brand highly prescribed by doctors for fever management. Growing at 14% per annum,Micro Labs is poised to achieve unparalleled status in the global pharmaceutical industry. Note to editors: There are many interesting aspects to Caripill and we would be more than happy to explore if there is interest in doing a larger feature focused on these interesting facts.